William “Bill” H. Woodard, age 85, of Cornell, passed away on Saturday, December 1, 2018, at Bellin Hospital in Green Bay. Bill was born on September 19, 1933 to the late Harold & Dorothy (George) Woodard. Bill was raised in Cornell and graduated from Escanaba High School in 1952. After graduation, Bill worked for the Chicago Northwestern Railroad. In 1953, he married the former Joan O’Connor and they moved to Chicago. Bill and Joan then moved to the Willow Farm in Harvey, MI to work from 1957 to 1960. At that time, the family returned to Cornell to work and carry on the family dairy farm with Bill’s father. Bill rarely took a day off from the farm and taught all five of their children the meaning of hard work. His children, grandchildren, nieces and nephews cherish many memories on the farm, from snowmobiling, throwing hay bales and milking cows to making apple cider. He retired from the family farm in 1993 when they moved to their current home in Cornell. 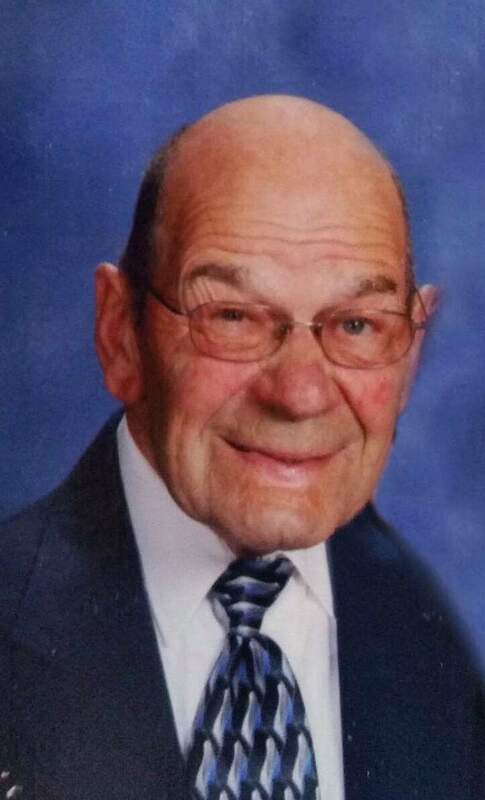 Bill enjoyed woodworking, hunting, four-wheeling, snowmobiling, bicycling, cross country skiingand especially spending time with family and friends. He was always ready to play a game of cribbage, pinochle, or smear or any other game. Bill was always helping others and could often be seen pulling neighbors out of the ditch in the worst winter weather. Bill was a former board member of Michigan Milk Producers Association, Production Credit Association, and Farm Bureau Association. He also served as deputy treasurer for Cornell Township for 28 years. Bill is survived by his wife of 65 years, Joan, his daughters Billie Woodard of Rapid River MI, Brenda (Jon) Servant of Escanaba MI, and Kristine (Bruce) Brandt of Nunica MI, Son Jeff Woodard of Cedar Hill MO, Sister Irma (Dave) Powers of Marquette MI, Brother David Woodard of Jacksonville, FL; daughter-in-law Joetta Graybill, Eustis FL; Grandchildren Curt (Becky) Servant, Jessie (Steve) Menard, Jamie Romero, Jason (Kate) Woodard, Blair Woodard, Anna Servant and Sarah Brandt; and 6 great-grandchildren. In addition to his parents, Bill was preceded in death by his sister Arlene Cantin, and son Rory Woodard. Bill’s family will receive friends on Saturday December 8, 2018, from 12:00PM to 3:00PM, at the First United Methodist Church in Escanaba. Funeral services will follow visiting hours on Saturday, at 3:00PM, at First United Methodist Church, with Rev. Ryan Edwardson officiating. Luncheon will follow in the church fellowship hall. The Skradski Family Funeral Homes of Delta County are assisting with arrangements. So sorry to hear this news – God’s embrace! Joan and Family, there is no better tribute to someone than to convey how much they impacted the lives of everyone they knew. Bill Woodard was that and so much more. Our Families(McFaddens down to us present time) have known each other for 100 years. Caring, hardworking, considerate, a truly great friend. We will always remember the amazing work he did with us restarting our Maple Syrup production, once done by my great grandparents, grandparents, as very close farming neighbors at Hunters Brook. Our thoughts and prayers go out to all family members and know we are thinking of you in this difficult time. Very Sincerely, Jim and Linda Middleton. So sorry to hear the news. I loved spending time at the woodard farm. Learned alot of life lessons their. Praying for the whole family. Richard and Faye Norby Escanaba, Mi during the summer months. Otherwise sunny Florida. Very nice man. I’m so sorry for your loss Joan and family. Dennis & I are so sorry for your loss. Bill treated us just like family whenever we saw him. Always smiling even when he felt ill. He will be truly missed. Joan and family, I am sorry to hear of Bill’s passing. I remember fondly the times we spent together while I was at the church. I am keeping you in prayer during this difficult time. Blessing to your family.